You don't need a full bar to mix yourself a real drink. Garnish sold separately. Recipe here. Technically that maraschino cherry makes it a four-ingredient cocktail, so we'll call it optional. Recipe here. Don't let those crazy frozen "daiquiris" turn you off. The original recipe is delicious, and actually really simple. Recipe here. You can also use simple syrup instead of sugar, as explained here. Equal parts everything. Recipe here. A favorite for day drinking. Recipe here. Grand Marinier or Cointreau is your best choice for the orange liqueur here, but any triple sec will work. Recipe here. 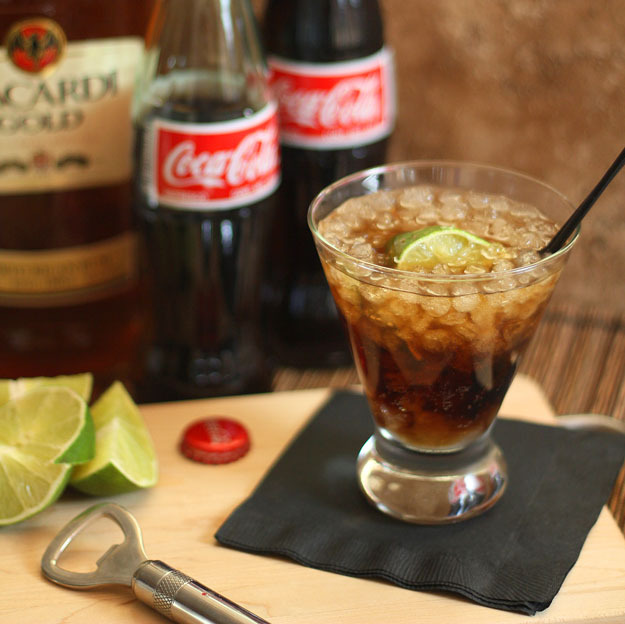 If you call it a rum and coke, it won't answer. Recipe here. Chambord — a sweet, dark raspberry liqueur — is a good bet here. Recipe here. If you don't like gin, use vodka instead. Recipe here. Better than it sounds. Recipe here. A bourbon lover's answer to the negroni. Recipe here.